In earlier smartphone models, a lock screen was simply just that – a screen that popped up whenever you needed to unlock your phone. Today, lock screens in the latest smartphone models are equipped with all sorts of features; allowing you to interact with notification alerts, add emergency information, access your phone’s camera and more, all without unlocking your phone. To add a custom message to your lock screen, go to Settings then Security and select Lock Screen Message. It’s a great idea to make your contact info appear on your lock screen, so anyone can get in touch with you in case you lose your phone. To set which alerts and notifications appear on your lock screen, go to Sound & Notification settings and select from the options under When Device is Locked. Android allows you to hide sensitive information, especially from messaging apps, so no need to worry about those appearing on your lock screen. The latest version of Android also comes with Smart Lock Capability, which can be accessed through the Settings menu. With this enabled, you can choose trusted locations, so you won’t need to unlock your phone whenever you’re at home, for example. The lock screen on iOS is still pretty limited compared to what you can do on Android, but there are still a few settings you can tweak. For Apple Pay users, you can double-tap your phone’s home button while on the lock screen to quickly access your registered debit and credit cards. You can choose to disable this setting from the Wallet & Apple Pay in the Settings menu. You can also choose which apps can send you notifications while your phone is locked by going to Notifications in your phone’s Settings. The iOS lock screen also has the Handoff feature, which allows you to start compatible OS X and iOS apps on one device, and resume using it on another. This works with certain apps like Messages, Mail, Maps, and Safari. You can enable this through Settings, General and selecting Handoff & Suggested Apps. Once enabled, simply select the app icon in the corner of your lock screen in order to continue using the app in that device. Some people customize their background image with an “If found, please call” message. There are also apps in iTunes that can help provide a custom lock screen. What does Google have to do with a hundred Zeroes? I mean, it’s kind of illegal, but you can always jailbreak your iPhone. Just imagine a ton of community made lock screens, even ones that mimic other phones such as Android, although I do not condone or recommend you do jailbreak, as it does remove the warranty. Jailbreaking isn’t illegal at all. Some of the things you can do with the jailbreak can be illegal though. Back to the topic of this article, I definitely agree with Android being way easier to customize than iPhone. Even so like it was mentioned, there are plenty of ways to customize the lock screen. As a owner of an iPhone myself, I personally customize mine by adding cute wallpapers with sayings on them. I’m not a fan of bland lock screens. It is the face of my phone so I gotta make it pretty. To add to this article, if you are using an Android phone, consider rooting it. Rooting your phone allows you to customize your phone even more. 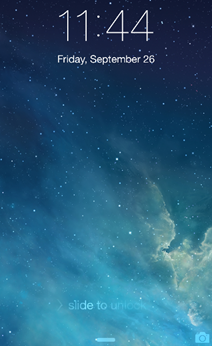 A major benefit is the ability to actually change your lack screen (as opposed to an overlay over it). If you are more tech-savvy, you may consider swapping the stock ROM (the OS) with a custom one too. Now the unlocking based on location is a great thing to know. So do the trusted location work by Wifi SSID connected to or GPS? I could see some amazing benefits for operating using GPS. The Apple Pay feature is definitely something interesting that I did not know about even though I have an iPhone. I was wondering about the safety of that though. 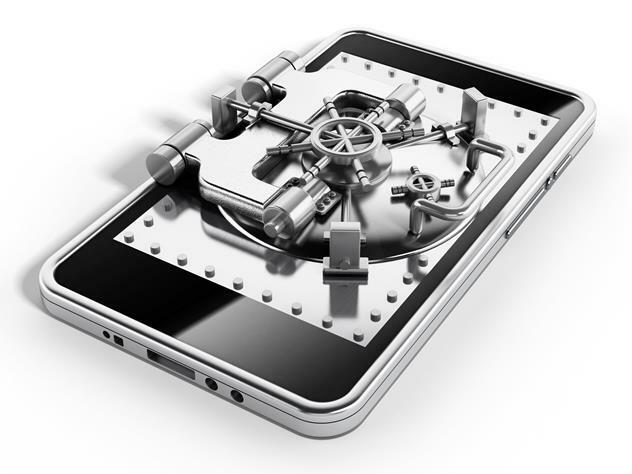 If someone stole your phone, they could not only keep your device, but also use all your linked credit cards. I would not want to use that feature. The “if found, please call” is an ingenious idea. This would be extremely useful. Now that I think about it, I could use that so if someone found my phone at school, they would be able to contact me so I could retrieve my phone. This would’ve been amazing in this situation where someone I kind of knew dropped their phone out of their pocket, didn’t notice, and then jumped onto the bus. I walked over to pick it up, but he was already on the bus and too far away. I did not know how to contact him to give it back, and it was on a Friday so I would not see him at school for a few days. With the contact info as the background, I would’ve been able to call his home phone. Thanks for this useful ‘heads-up’. I’ve made some changes to my Android home screen already, but for some reason I hadn’t come across the ‘trusted locations’ option. I can see that could be really useful, on the other hand, with a very inquisitive Siamese cat in the house, perhaps not. I can do without him phoning his friends when I’m not looking!! Thank you! I have an android, for me finding the ”message option” went like this: Security>Owner Info. 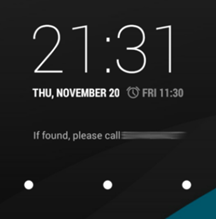 I love the idea of being able to create a custom message so it appears on the lock screen, but sadly where I live people never returns lost mobiles. I own an Android device and its rooted, plus a custom ROM(the Linux OS which runs on the device). I can customize almost anything on my lock screen. Putting up the list of applications which I can directly open from the lock screen, pulling down the status bar to make quick changes, emergency contacts and lots more. You can also customize by installing many 3rd party applications available on Google Play. I did not know you could add a message to your lock screen, that is super handy. I’ll probably use it to remind myself of things I need to do. One thing my phone can do on 5.1 is face recognition screen lock, I have a PIN set, but if my phone recognizes my face it will just unlock and I won’t have to mess with that. It is part of that smart lock feature mentioned in the article, where I can also do things like set trusted location, or when its in my car and things like that. I still don’t know why Apple doesn’t allow customizing your phone. Yes, there is Jailbreak but that would void the warranty. You can, indeed, do so much more on Android. When I got my phone my first thing was to install a custom launcher and lock screen. Also, if you want to, you can overhaul the whole OS by installing a custom one. Android gives you much more freedom than iOS, but some people say it’s also more complicated. Thanks for sharing this information with us, I have used my iPhone for over three years now and I had no idea about this, I think that I need to do my research too! I really like how Android makes things easy in case that you lose your phone, but I think that I still stay with apple. It’s still a great information though :). Still, I hope that one day Apple provide us with the same facilities when it comes to lock screens.